Thorough and thoughtful design, along with the precision we can achieve with the CNC machine, mean the very cleanest of clean lines, while maximising space with non-standard sizing of the cabinetry. Here features may include hardwearing Corian worktops, birch ply carcasses and crisply finished integrated handle details. 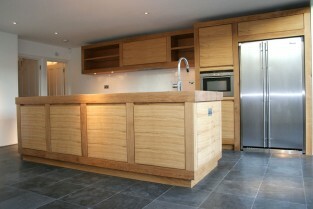 Kitchen made from American Black Walnut with blue lacquered doors and panels. 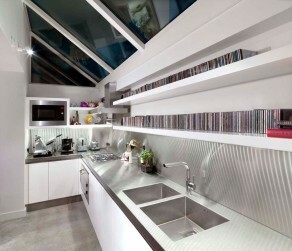 Stainless steel splash-back and Corian Worksurfaces. 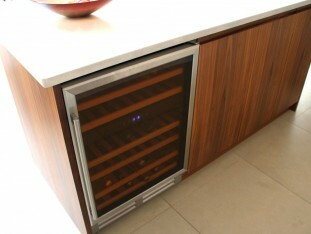 Floor to ceiling units made from ‘Bog-Oak’ veneer. Lower units and wall units spray-painted. Mitred composite stone worktops. 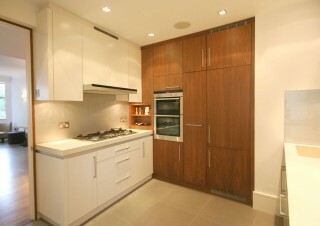 Spray-painted cabinets and composite stone worksurfaces. 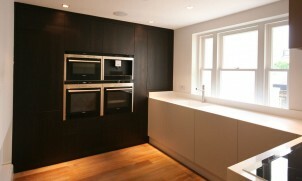 Kitchen with handle recesses. Birch plywood carcases and drawers. 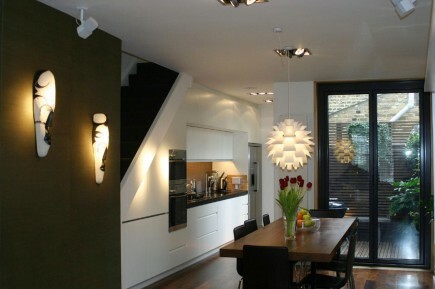 Exterior spray-painted in a matt pigmented white lacquer. 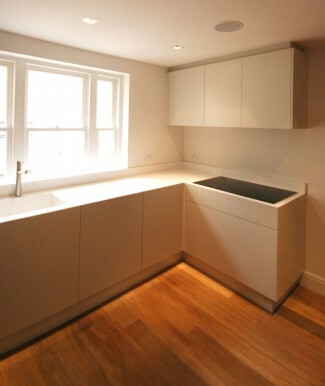 White Corian worktop with integral white splashback. 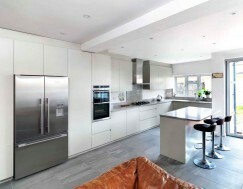 Off-white lacquered Kitchen with composite stone worktops. 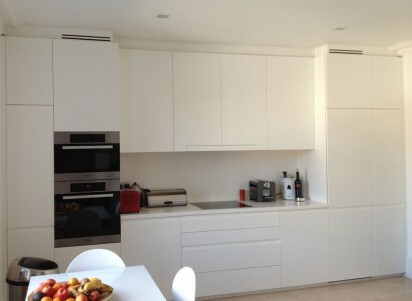 White lacquered kitchen with stainless steel worktop and integral splash-back. 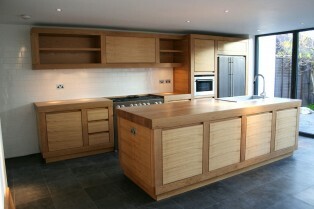 Island unit made from Oak. Spray-painted Kitchen with Walnut Island unit. 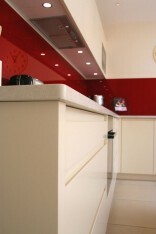 Composite stone worktops with striking red glass splash-backs. Walnut and spray-painted with stone worksurfaces. 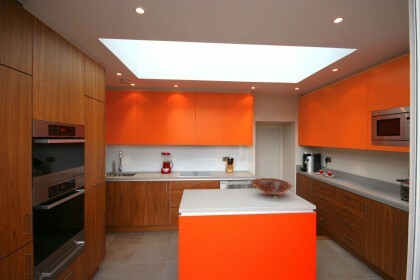 Walnut Kitchen with striking orange wall units. Spray-painted Kitchen with handle groove detailing. Marble worksurfaces and splash-backs. 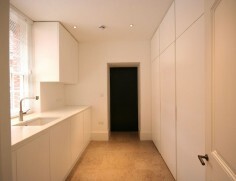 Utility Room with spray-painted cabinets, panels and secret ‘jib door’. 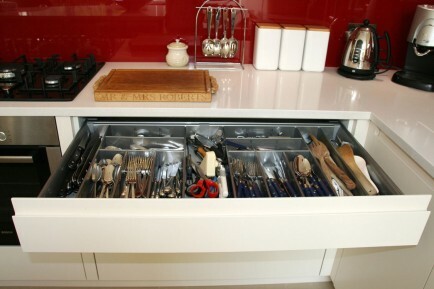 Corian worksurfaces. Island unit made from stained Birch plywood with slat top and custom nickel plated legs. 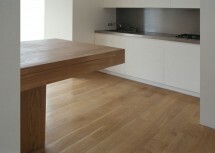 Made from solid and veneered European Oak with solid Oak worksurfaces. 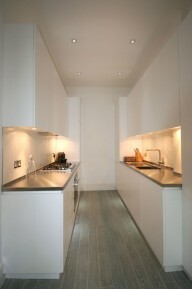 Simple spray-painted Kitchen within a confined space. 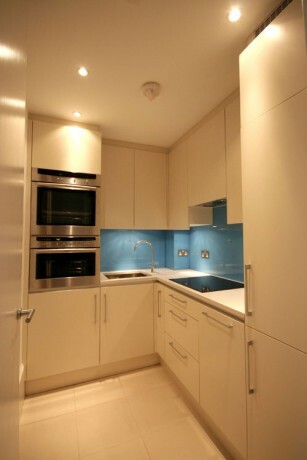 Vibrant blue glass splashback and stone worktop. 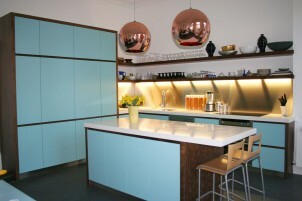 Kitchen made from a combination of spray-painted and Walnut veneered cabinets. 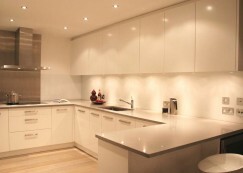 Stone worksurfaces and neutral glass splashback. 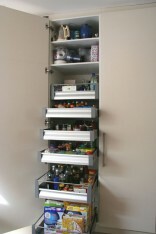 Spray-painted cabinets with Walnut shelves. Stone worksurfaces and neutral glass splashback. Limed Burr Oak veneered doors with European Oak carcases. 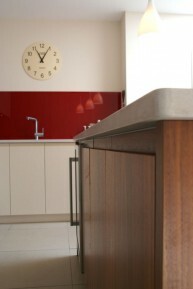 Solid Maple worktop and stainless steel splash-back. 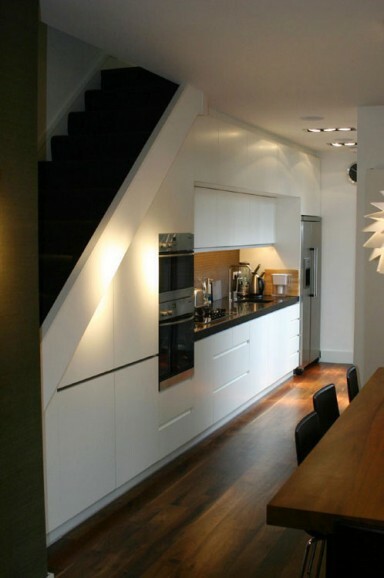 White lacquered Kitchen with handle groove detailing fitted beneath a staircase. 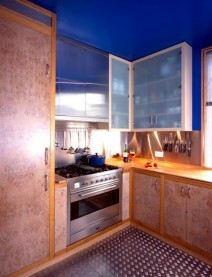 Kitchen made with birch plywood carcases and spray-painted doors and exteriors. Stone worksurfaces. 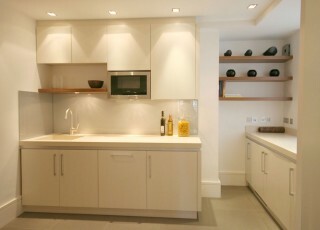 Gloss white lacquered Kitchen with white glass splash-backs and stone worksurfaces. 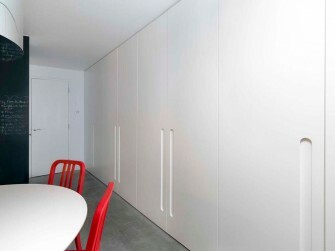 Floor to ceiling and wall to wall cabinets in a white lacquer with elongated integral handle detail. 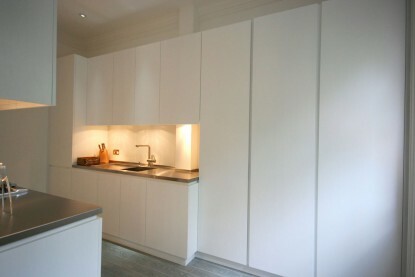 White lacquered Kitchen with handle groove detailing, integral under-shelf lighting. 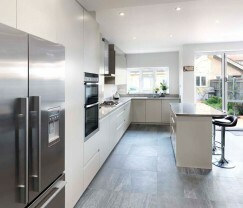 Stainless steel worksurfaces and splashbacks.